Even though the United States relies heavily on imports for many non-fuel minerals, mineral supply has played only a small role in foreign policy since World War II. 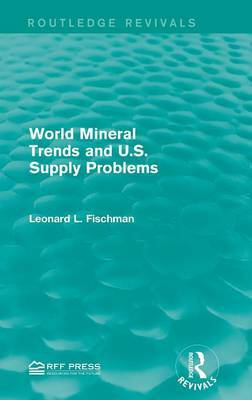 Originally published in 1980, this report investigates seven major non-fuel minerals in relation to long-term potential supply and price problems and any short-term issues that may arise to put concerns about supply in perspective for policy-makers. This title will be of interest to students of Environmental Studies and professionals.